This is a first here on Healthier Dishes, people. It’s the very first dessert recipe featured here on my blog. I’ve never been much of a baker, which is why this is the very first one you’ve seen here on my blog. I recently decided that I wanted to break out of my comfort zone a little and try my hand at some different types of recipes. 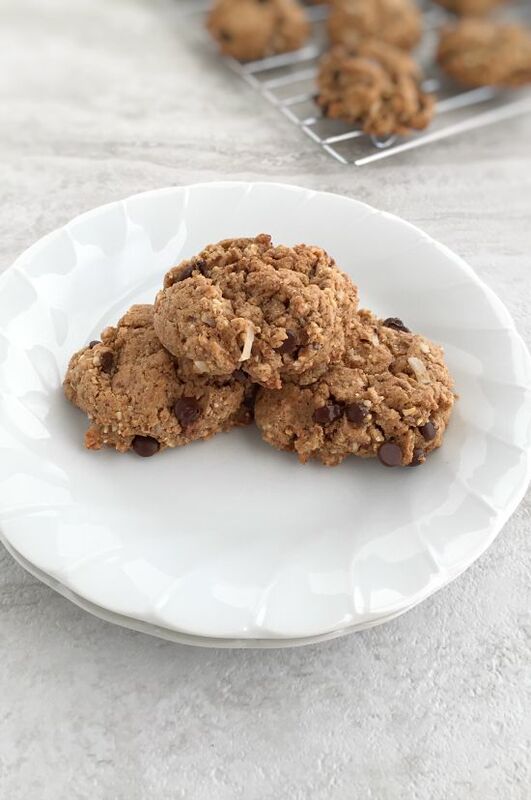 The inspiration for this flourless cookie came from a recipe out of an old issue of Rachael Ray’s magazine. I tore it out of the magazine years ago thinking I might make it, but never had. It’s been tucked into a pocket of my recipe binder all this time. 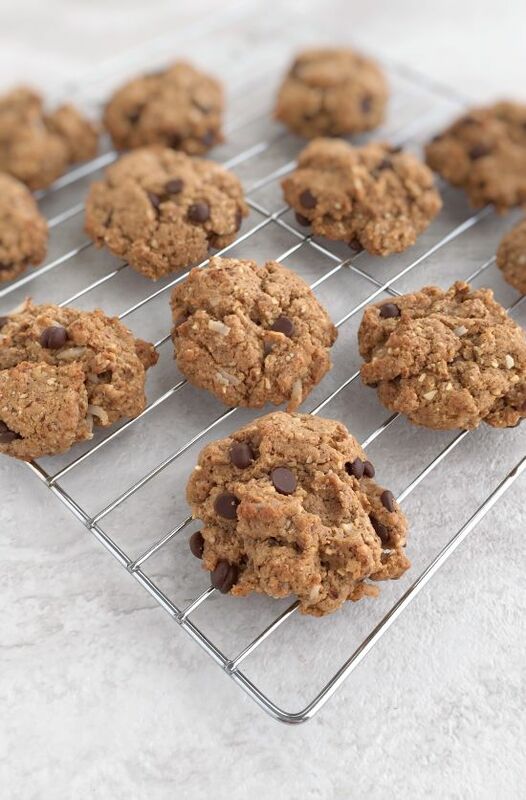 There are only seven ingredients in these cookies, and that’s counting the sea salt. They are super simple and can be in and out of the oven in about 20 minutes. Seriously, it’s that quick! 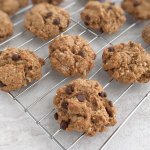 Homemade gluten-free cookies that even someone who doesn’t like to bake can make! I used unsalted natural almond butter that I buy at my local Natural Grocers to make mine. The only ingredient on the label is almonds. By the way, if you have a Natural Grocers nearby, you should definitely try their store brand of almond butter. It’s my favorite of all the brands I’ve tried. The unsweetened coconut flakes I picked up at Trader Joe’s, but you can also find those at stores like Whole Foods and Sprouts. I used the Enjoy Life brand of semi-sweet mini chocolate chips, which are dairy-free and soy-free. In a medium bowl, stir together the first six ingredients until blended. Gently stir in the chocolate chips. Line a large baking sheet with parchment paper. Drop cookie dough by rounded tablespoons onto the parchment paper. Bake for 10-12 minutes, or until cookies are lightly browned. Remove from oven and let cool on baking sheet for five minutes. Place them onto a wire rack and let cool for an additional 15 minutes.